Leeds United have delayed the launch of a new club crest until their centenary year in 2019-20. They unveiled a new badge in January to start being worn next season, but the design was mocked as "awful", "shocking" and "horrendous" by fans. Over 77,000 people signed a petition asking owner Andrea Radrizzani to stop the launch of the original design. BBC Radio Leeds reports the Championship club has since received more than 1,200 ideas from supporters. 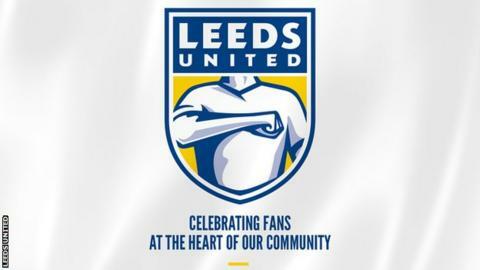 In a statement, Leeds said the release of a new crest had been delayed "due to the volume of ideas and designs submitted by fans." "We would like to take this opportunity to thank all fans for the inspiration they have provided which, following further consultation with supporters' groups, will form the basis of a democratic vote later this year," the statement said. "We look forward to our loyal and passionate fans selecting a crest that will proudly herald in the next 100 years."